Trading in your lead as scrap is quick, easy and hassle-free. Today we’re explaining exactly what it is that you can trade in, the environmental benefits of recycling lead and why you should scrap your lead at J Davidson. From piped windows to pencils and plumbing materials, you’ll find lead in all sorts of random household items. It’s also common inside and outside the home, as it was often used for pipes and roofing on buildings that went up before the Second World War. So, if you happen to work as a plumber or a roofer, you probably come across lead fairly frequently. These days, lead pipes and roofing are generally considered dangerous. When plumbers and roofers or anybody else comes across lead, it’s the homeowner’s responsibility to replace the lead materials. This is also the case for car mechanics who find themselves face-to-face with lead batteries – these need to be removed and properly recycled. Lead batteries are pretty big in recycling. In fact, experts actually estimate that around 97% of recycled lead comes from lead-acid batteries alone. 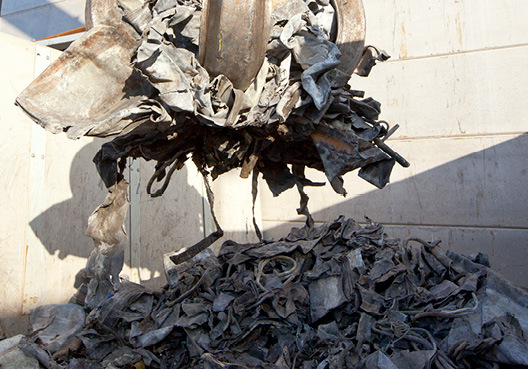 As with all other metals, recycled lead is much cheaper to produce than raw lead, and the process itself requires 25% less energy. Recycling lead also helps to divert waste from landfill in general – so there are multiple environmental benefits to bear in mind when you’re considering whether or not to scrap your lead. What happens when I recycle lead at J Davidson? No matter if you have a small amount of lead from home or a large amount you’ve collected from a job or over time, it’s quick and easy to trade it in at our Manchester scrap yard. Simply pop down, we’ll weigh it in and you’ll get paid. Don’t forget, we can collect for your convenience too! If you’re a plumber, roofer, or work in any other trade that frequently comes across lead, trading in this unwanted metal could actually open up a valuable income stream. Providing you have the permission of the homeowner, you could recycle lead as part of your service – you may even negotiate a small discount on labour with your customers, in return for keeping the lead for scrap. Which types of lead can be scrapped? If you have something lead or a type of lead which isn’t listed here, then call us: 0161 928 9981. Chances are we’ll take it off your hands and you’ll be quids in! Recycling lead is not only great for the environment – it’s also good for your back pocket. Got questions about our lead recycling process or would like to scrap your lead today? Get in touch. Our team is always on hand and happy to help!